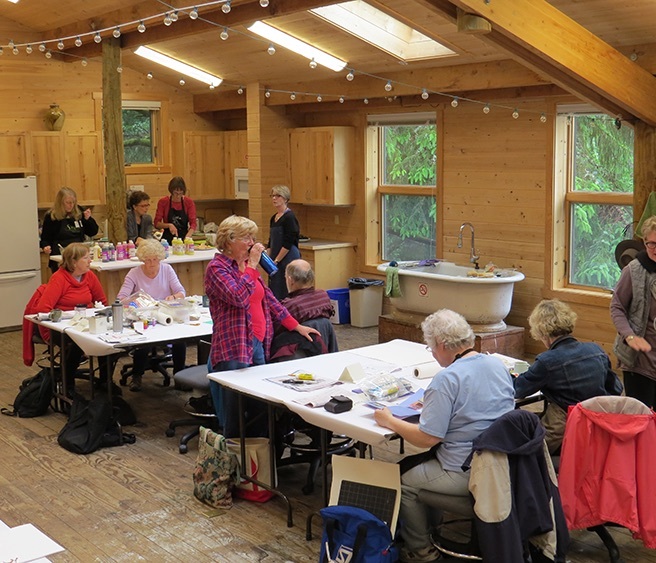 Gather in the beautiful Boyden Studio for an opportunity to explore and create among a community of fellow artists. Bring the medium and supplies of your choice, and we’ll provide an intimate studio with tables and easels, coffee and tea. The views of the lush landscape and peaceful setting of Sitka will inspire your creativity, give you the freedom to explore and offer a chance to bond with your studio mates. Bring your lunch each day or plan a potluck with your studio group. Sitka Staff will be on hand to help with equipment, studio setup, refreshments and for general studio support. • Bring your own medium and materials of choice. • We will provide tables and easels. • We are not able to accommodate encaustic or loud equipment like sewing machines.